Oil Filter Housing to Engine Block Gasket for 2002-2006 R50 MINI Cooper and R53 Cooper S, and 2005-2008 R52 Cabrio. This rubber gasket will get old and brittle so if you ever remove it we recommend replacing it, plus it is a real pain to replace later. 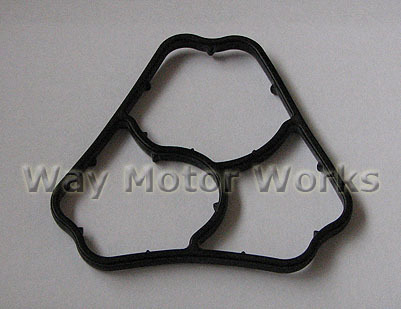 This gasket is also sometimes called the Oil filter Stand gasket.